No Set up charges and no screen charges on orders over 12 pieces. Do you have an event? Large or small we can handle it. Treefrogg has short turn around time of usually less than two weeks for orders from 12 to 10,000 plus pieces. You only pay for the colors you print. 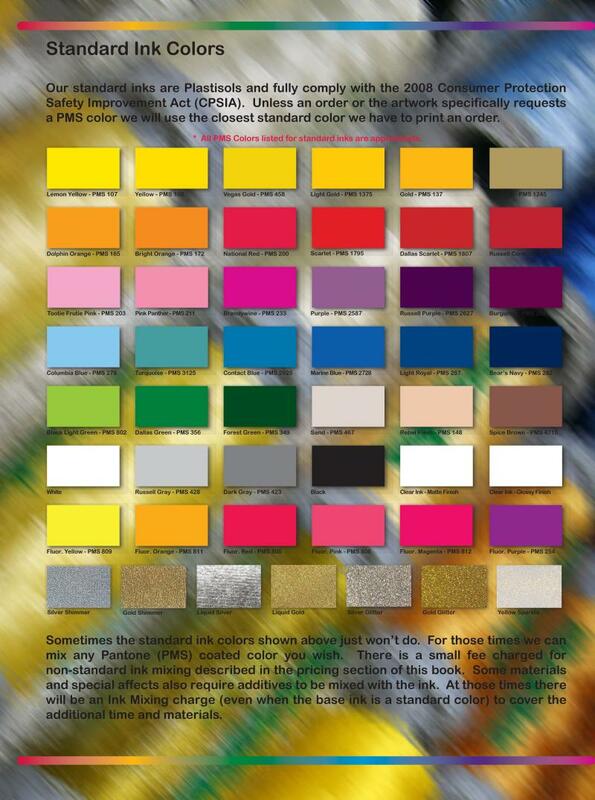 Choose from our 52 standard colors. Have you ever been quoted a price for a screen printing job and when it is done there are a host of extra charges? Not with Treefrogg, the price per piece is the price you pay.